Project financed by the Spanish Ministry of Economy and Competitiveness for the realisation of R&D&i Projects, reference number HAR2014-59873-R. This project aims to integrate spectrophotometric analysis coupled with accelerated aging, colourimetry, and multispectral photographic images captured by a calibrated digital camera. This will offer one solution that will allow identifying and mapping the pigments automatically for maximum reliability in surveys / models / three-dimensional reconstructions (3D), or 4D. Geometric and radiometric calibration of image sensors (cameras). Analysis of the colourimetric and spectral variation of micro-samples and correlation with radiometric values acquired with a digital camera. Enhancement of the multispectral processing for the automatic detection of pigments on shelters. Estimation of the spectral variability and 4D reconstruction of the scenes 3D modelled at present, in virtual environments. Calibration of the instrument in both components, geometric and radiometric, allows us the accurate documentation of the actual state of our archaeological heritage. Colourimetric variability can be undertaken with a digital camera instead of optical instrumentation much more sophisticated. Enhancement of multispectral images (UV, VIS, NIR) allows users the detection of pigments and motifs hardly visible by the naked eye. Spectral variability over time depends on the mineral composition of the interacting materials. Virtual environments empower the dissemination of cultural heritage. Documentación patrimonial mediante solutiones fotogramétricas y de escaneado láser, y su orientación a la generación de entornos virtuales. Blanco, S.; Carrión, B.; Lerma, J. L. 2015. Documentación patrimonial mediante solutiones fotogramétricas y de escaneado láser, y su orientación a la generación de entornos virtuales. La Ciencia y el Arte V Ciencias experimentales y conservación del patrimonio, pp. 56-69. Ministerio de Educación, Cultura y Deporte. ISBN: 978-84-608-4003-9. Basics of Range-Based Modelling Techniques in Cultural Heritage 3D Recording. Grussenmeyer, P.; Landes, T.; Doneus, M.; Lerma, J. L. 2016. Basics of Range-Based Modelling Techniques in Cultural Heritage 3D Recording. 3D Recording, Documentation and Management of Cultural Heritage (Stylianidis, E.; Remondino, F., Eds.). ISBN: 978-184995-168-5. UK: Whittles Publishing. pp. 305-368. Digital image analysis of the visible region through simulation of rock art paintings. Accuracy analysis of a mobile mapping system for close range photogrammetric projects. Navarro, S.; Lerma, J. L. 2016. Accuracy analysis of a mobile mapping system for close range photogrammetric projects. Measurement, 93: 148–156. http://dx.doi.org/10.1016/j.measurement.2016.07.030. 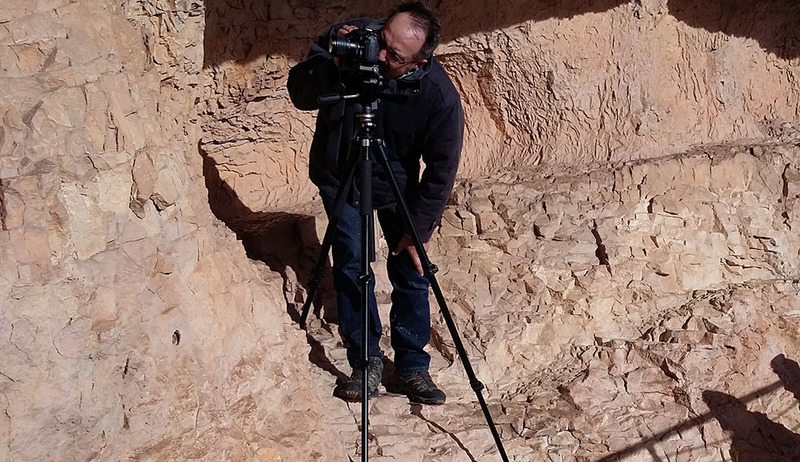 Documenting the light sensitivity of Spanish Levantine rock art paintings. del Hoyo-Meléndez, J. M.; Lerma, J. L.; López-Montalvo, E.; Villaverde, V. 2015. 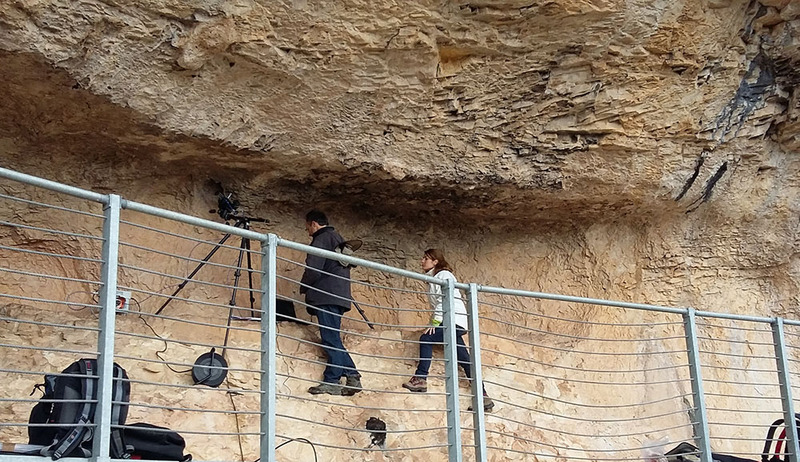 Documenting the light sensitivity of Spanish Levantine rock art paintings. ISPRS Annals of the Photogrammetry, Remote Sensing and Spatial Information Sciences, II-5/W3: 53-59. http://dx.doi.org/10.5194/isprsannals-II-5-W3-53-2015. Review of augmented reality and virtual reality techniques in rock art.